On Nov. 9, 1989, the world watched in awe as the Berlin Wall fell without a single shot fired. Jubilant Berliners from both sides climbed on top of the wall, colorfully spray painting the dismal structure and using axes to remove fragments as souvenirs. That winter, communism fell peacefully all across the Soviet Bloc — except in Romania. Nicolae Ceausescu, the country’s tyrannical leader, fought the revolution. 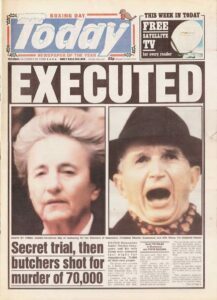 Ceausescu was a megalomaniac ruler who decided that he must build up the country’s population. In 1966, he outlawed birth control and issued Decree No. 770 prohibiting abortion. 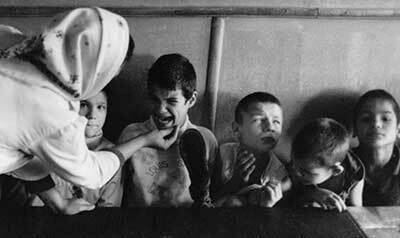 Ceausescu ordered each woman produce at least five children, and gave special awards to those who bore ten or more. But as the birthrate soured, the country’s economy sank. Citizens suffered from food shortages due to exporting of most of the country's agricultural products. It became unmanageable for parents to care for so many family members. Parents abandoned tens of thousands of children, leaving them in the state’s care – especially those with disabilities. In Dec. 1989, protests for democratic reform spread across the nation and Ceausescu ordered mass suppression, killing hundreds of civilians. 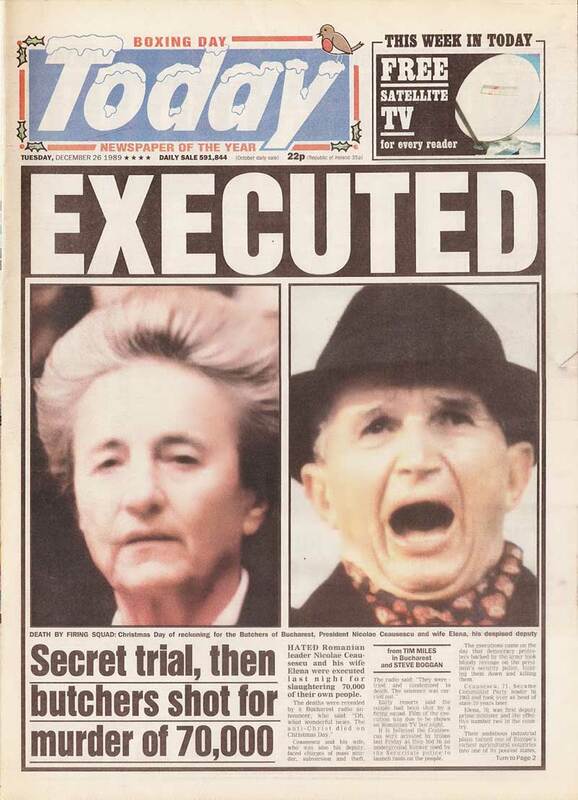 In the end, a coup took over the army and arrested Ceausescu and his wife, Elena, as they tried to flee Bucharest. After twenty-five years of totalitarian rule, the couple was pushed through a one-hour show trial and immediately executed by firing squad on Christmas Day. 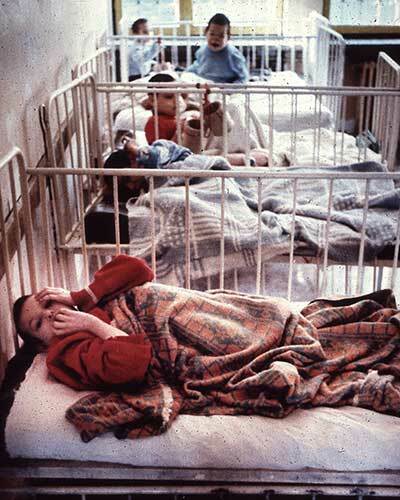 ABC News 20/20 descended into Romania in 1990, uncovering an appalling secret: state-run asylums where tens of thousands of disabled children were banished and abused like caged animals. One of the most horrific institutions was located in a remote city in northern Romania, which a reporter described as having “Auschwitz-like conditions.” It was there, at the Home Hospital for Irrecoverable Children in Sighetu Marmatiei, that 10-year-old Izidor and his friends fought to survive. 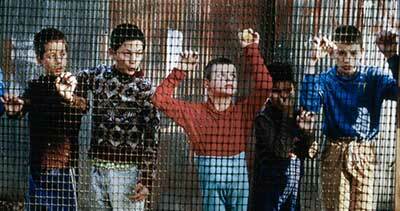 Officials estimate Romania’s institutionalized children in the 1990s totaled over 200,000, not including street children. As numerous Western media continued to expose the inhumane orphanage conditions, the images inspired families around the world to adopt from Romania. But in 1994, Romania passed a law declaring children are not considered “abandoned” if they are visited by their birth family every six months, which prevented scores of children from becoming eligible for adoption. 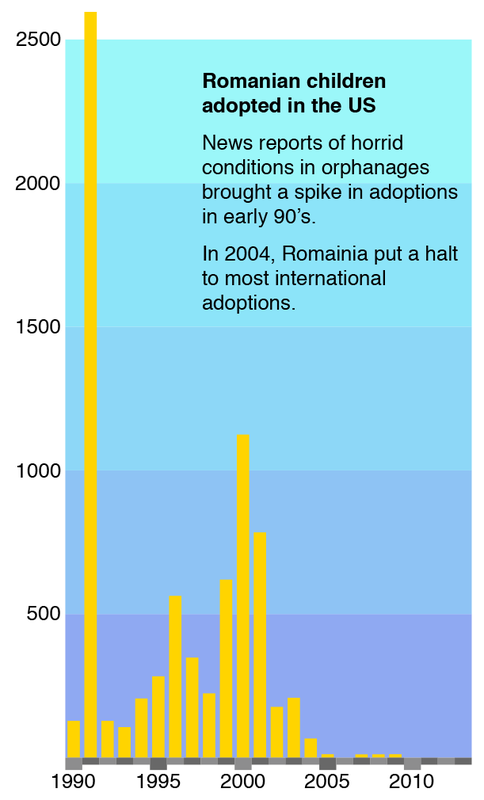 In 2001, Romania suspended international adoption and in 2004 banned it completely, citing widespread corruption in international adoption practices. Emma Baroness Nicholson, a British member of the European Parliament, disapproved of international adoption and is partially responsible for pressuring Romania into the shutdown. Thousands of “pipeline kids” were left in limbo – already adopted, but not allowed to leave Romania. International adoption remains illegal to this day. The European Union required Romania to close down all state run institutions in 2007 as a condition for becoming a member nation. The country promised to do so, and many institutions were closed. Romania also ratified a United Nations treaty affirming the rights of people with disabilities. But despite reforms, several reports in recent years reveal hundreds of disabled orphans remain in deplorable conditions. Numerous international organizations have been working over the years to try to change Romanian officials’ minds on international adoption, pointing out that abandoned children deserve families where they can be loved and cherished. The Parliament of Romania considered legislation to re-open international adoption in 2013. Izidor Ruckel participated in the talks, representing international adoptees whose lives have been dramatically changed for the better by the opportunities afforded them through adoption. Unfortunately, the bill did not pass. In 2015, a Romanian government report revealed there were still over 70,000 abandoned children in the country. Though in-country adoption is available, few disabled children are adopted and instead are left in hospitals or mental health institutions. In addition, the number of children living alone is on the rise in Romania as many parents head to Western Europe in search of work, leaving the oldest sibling in charge of the children. Former Romanian President Traian Băsescu served eight years in office (2007–2014) and was opposed to re-opening international adoption. But in late 2014, Romanians elected a new president, Klaus Iohannis, after a controversial election. Many adoption advocates are hopeful the new president will re-open international adoption. Izidor toured Romania for two months in 2015. He noted a significant change in Romanian’s attitudes towards vulnerable children compared to his visit a decade earlier. He met with government officials and community leaders, as well as hosted several speaking engagements. Izidor and his adoptive mom, Marlys Ruckel, made news across Europe when they appeared on Pro-TV’s well-known, live talk show “La Maruta” for several days. Europe 1989. The Iron Curtain (red line) is about to come down. 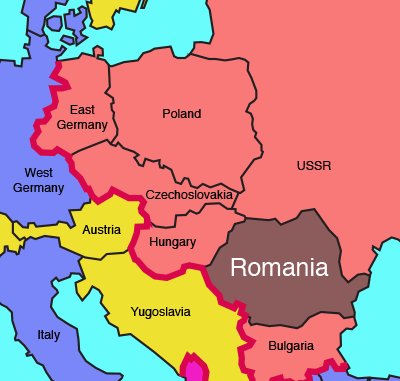 Eastern Bloc countries shown in red, NATO countries in blue. Neutral countries in yellow. The original news story that exposed Izidor's orphanage to the world and inspired mass adoption from Romania. 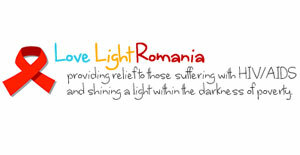 I recently lived in Romania for two years (2016-2018), serving with Love Light Romania located in Medias, Sibiu. This small non-profit is doing big work helping the marginalized through training, educational supplies, school transportation, and after school programs. The young adults who live at the sanctuary have been blessed to have someone rescue them, when they could easily have ended up on the streets or dead due to the challenges that they have gone through because of institutions. The eight residents that live at Love Light Romania have overcome so much since they first arrived, and I can see they are now free and at peace with their lives. I can attest that this program is much needed and well-respected in the community. The compassion and hope offered by the staff is authentic and committed long-term.